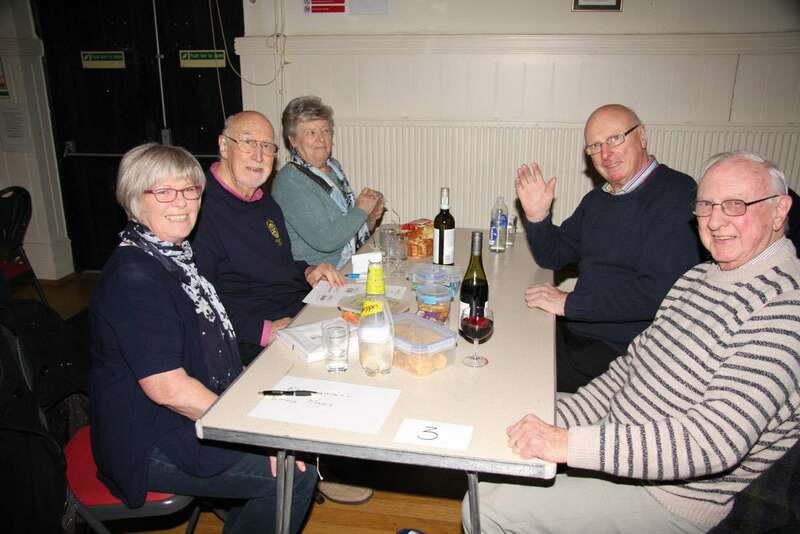 Cranleigh Rotary’s ever-popular annual quiz was once again a great success. 16 teams entered the quiz, which took place in the Village Hall at 7.30 p.m. on Friday, 1st March. The winners of the quiz were Belinda Graham-Rack and her team, with Let’s Get Fiscal second and Justin’s Harem third. The raffle raised £393, which, together with net takings of £270 from the quiz itself, meant that £663 was raised in total. “This was a tremendous effort. Many thanks to everyone who helped to make a success of the event,” said Rotarian Andy Kolmar, one of the main organisers of the event. The funds raised this year will be going to various local charities and organisations, including providing the Cranleigh Cricket Club’s Under-14 Girls Squad with team shirts. Secondly, the incredible weather in late February helped create an explosion of Giant Ruby purple crocus flowers on Cranleigh Common, where some 6,000 corms were planted (November 2016) in the shape of the Rotary Wheel. This planting exercise formed part of Rotary International’s Foundation’s Centenary Project Purple4Polio where they, together with the Royal Horticultural Society (RHS), facilitated the planting of some 5 million crocuses across Great Britain and Ireland. Cranleigh’s Rotary Crocus Wheel is 10m in diameter and lies adjacent to the pond on The Common. 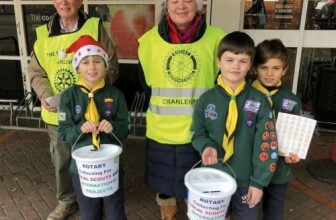 The planting exercise was organised by Cranleigh Rotary Members who were supported on the day by volunteers from Cranleigh-in-Bloom, U3A Garden Club, and Cranleigh Chamber of Trade. For over 30 years, Rotary International and its members have been committed to fighting to eradicate polio across the world, and now the number of polio-endemic countries has dropped from 125 to just two, with over 2.5 billion children receiving vaccinations, thanks to the significant help of Rotary.